Curation is most often understood in terms of visual art. The demand created by arts festivals, however, reanimates the idea of curating not only for visual art but for performing arts. What are the special considerations of a curator for a dance festival? Dance Informa speaks to Angela Conquet, the artistic director of Dancehouse in Melbourne, to find out. Conquet brings to Dancehouse her European sentiment and aesthetics and many years of experience as the artistic director of an independent cultural centre in Paris. Could you explain your role in relation to Dancehouse and Dance Massive? 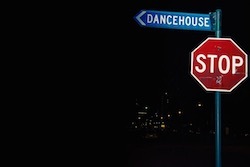 “Dancehouse is one of the founding members of the consortium (of Dance Massive) in 2009. Dance Massive began as a conversation between the three artistic directors and creative producers to build momentum for the artform of dance because they realised that with the dynamics of the festival, it would be easier to attract attention to this vibrancy of what is happening in Melbourne. Then Dance Massive grew into what I think we are no longer afraid to call a festival. Because it has everything that a festival implies. Can you talk about how you have been influenced as a curator? “I think curating dance is about the context: the social and political context, and also the space and the time. The time can be the social and political context, and the space can be the actual physical space. But also, who are we creating for, who are the audiences? Not to say that the audience would restrict or limit in any way the degree of risk that we would take in programming challenging art. I do believe we are the shadow people, and our responsibility lies in how well we manage to connect an artist’s work to the audience. We orchestrate in a way the subtle connections, the explicit ones, but also the implicit ones. We have that role of thinking not only about the actual work of the artist and where they come from, and what the urgency of making that work today is for the artist, but also how it impacts on the other end. Probably because where I worked for six years in Paris there was an ongoing reflection of ‘Who we are making art for?’ It implied placing the artist at the very centre heart of a community of not necessarily arts savvy people. We had that constant care of how much we had managed to create enchantment and wonder, and provoked the lived experience, the embodied experience of art, and I think this lies as much in the curators hands as in the artists. “The best moment of this job is when you put a call out for the works, like is the case with Dance Massive. We don’t go out to find works. A call out is very democratic (and that is very Australian). I think it is the most exciting moment when you have artists thinking that their work could work here at Dancehouse, and them telling us why. And probably the most interesting part of the curatorial process with Dance Massive is the conversations that we then have with the panel. The conversations are very thought provoking, as all panel members have seen a lot of dance works and obviously have different tastes or ways of defining rigour. I like to be challenged in the way I assess initially the works, to be prompted to see unseen angles or nuances, and to even change radically my opinion. It is impossible to think how the works resonate together as the program is not curated according to a pre-determined thread. But they do reveal a lot about current trends in dance making today, about their authors’ interests or urgency to convey a certain message. In this year’s edition, all works are presented by female choreographers, which is a pure coincidence; however, all six works have a particular feel about them, a certain poetic approach to a particular kind of themes I’d dare say are of more interest to women authors. We invite artists to first think about presenting work at Dancehouse. It is not only the physical space – does your work physically fit in the space and can we technically present it – it is as much about whether you want to be a part of this community of people gravitating around you. And our organisation comes with a huge array of tools and resources, and audiences and thinkers. Quite often, the artists don’t have that thinking. They will send us applications for works that need three stages to fit them. What about Shelley Lacsica’s work presented by Dancehouse? Is that a commission? “It is more or less an existing work reinvigorated for a site-specific environment. Shelley wanted to know if we were interested in presenting work outside of a conventional space. This is one of her main interests today – ‘How we can bring dance works to unexpected places? And as much as possible to insert them in an unobtrusive and accidental way in peoples lives without them even thinking that it is orchestrated?’ What is really great about the space (the gymnasium at the Carlton Baths) is that there are so many layers to a space and this one has glass all around it. The circulation of people around it can choose to watch from a distance and engage with the work indirectly. The way that Shelley imagined the work is very smart. To learn more about Dancehouse, visit dancehouse.com.au. Photo (top): Angela Conquet, artistic director of Dancehouse. 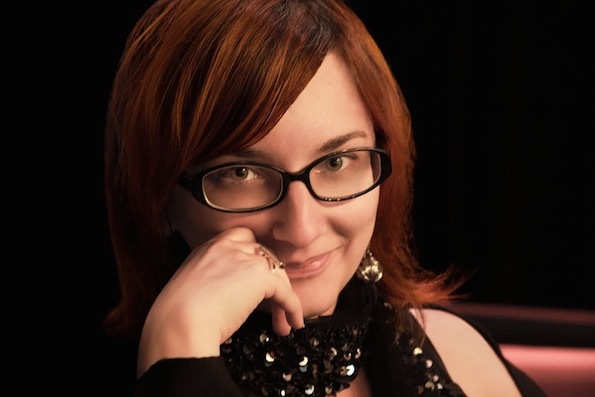 Photo by Alfred Mrozicki, courtesy of Angela Conquet.